Designs for a new station building at West Ealing have been submitted to Ealing Council as part of an overhaul of the station for Crossrail. The proposals are for a new building on Manor Road, northwest of the existing station, and include a new ticket hall. There are also blueprints for a new footbridge with lifts to provide step-free access to every platform. The work would be carried out by Network Rail. The plan is for the station to be run by Transport for London from the end of 2017 as part of London's integrated transport network. Tunnelling work for the cross-London Crossrail project has finally been completed, here are some facts about the big build. Three years of tunnelling work to create the new Crossail underground railway came to an end at Farringdon. London's mayor thinks the Chancellor will allow City Hall to levy taxes for special projects like Crossrail 2. The garden above the Canary Wharf Crossrail station is now open to the public. Crossrail Place opens today, with the building work finally complete. 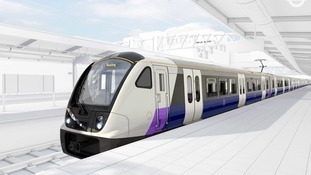 It's the first element of the Crossrail network to open to the public. It's made up of a shopping centre, restaurants and a roof garden, and sits just above the new Crossrail Canary Wharf station. The train station will be the first to open on the network. The structure of the new Crossrail Custom House station in the Royal Docks has been completed. 825 sections of the building were pieced together like a jigsaw in a year and a day. When completed in 2018, the station will enable passengers to travel to and from Heathrow in 45 minutes. London Assembly member Darren Johnson wants the mayor to impose a windfall tax. The family of Rene Tkacik, a 44-year-old man who died whilst working on the Crossrail project last year have said they hope the inquest into his death will reveal what happened to him. Speaking outside the inquest this morning, his lawyer Helen Clifford said the family just want answers.